Skye Gravestones | John Martin, gs. Andrew. [NB. 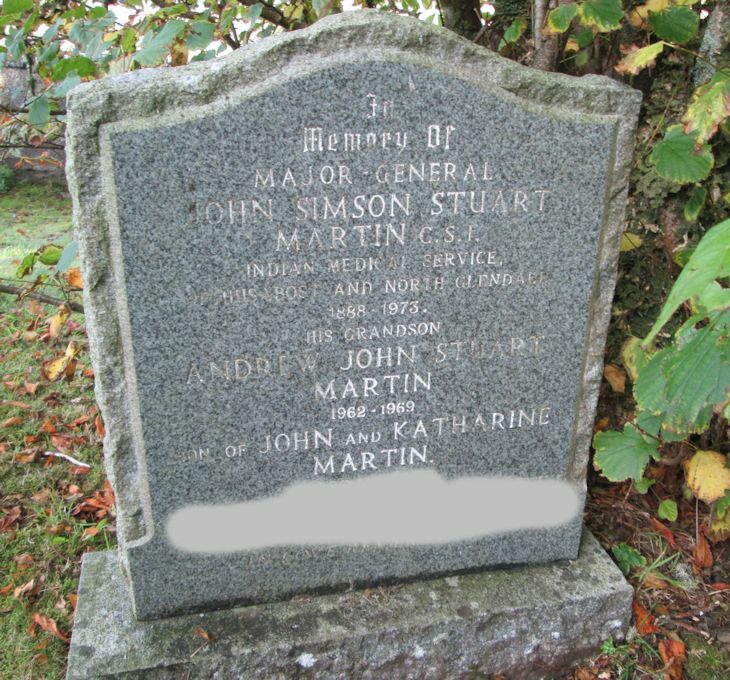 The post-1979 "recent" death has been painted out o the image] In/memory of/Major General/JOHN SIMSON STUART/MARTIN C.S.I./Indian Medical Service/of Husabost and North Glendale/1888-1973/his grandson/ANDREW JOHN STUART/MARTIN/1962-1969/son of JOHN and KATHARINE/MARTIN/["recent"]. Picture Added on 30 April 2014.